Arthur Gietzelt was a senator for New South Wales from 1971 until his resignation on 27 February 1989. He was a member of the left faction of the Australian Labor Party with a reputation as a 'legendary numbers man' because of his success at organising votes within the New South Wales state branch and the federal parliamentary party. Arthur Thomas Gietzelt was born on 28 December 1920 at San Francisco, USA, the eldest of three children of Arthur Anton Gietzelt and his wife Ida Caroline, née Stoward. The Gietzelts had travelled to America from Australia on their honeymoon because Gietzelt's father wanted to promote his patents for a cushioned motor wheel and a piston engine. This venture was not successful, but he found employment in the automobile industry in San Francisco and Fresno, painting motor vehicles with enamel. He also obtained an Australasian franchise to distribute a solid rubber tyre for motor vehicles. When Ida Gietzelt became homesick, the family returned in 1922 to Australia, where Arthur Anton Gietzelt established a tyre business in Newtown, Sydney, that operated from 1923 to 1929. The business collapsed during the Depression, and he eventually established Getz Products Co., later Getz Products Pty Ltd, at Sans Souci and then at Rockdale, manufacturing paint chemicals, shoe product finishes and dye products. Gietzelt was educated at primary schools in Newtown, Enfield and Sans Souci, before attending Hurstville Boys' High School. On leaving school he took a typing and stenography course in the hope of becoming a journalist. Gietzelt worked as a warehouse assistant before enlisting in the Australian Military Forces on 15 May 1941. He served in New Guinea with the Royal Australian Engineers; during this time, he produced an army newspaper and enjoyed the experience of keeping his fellow-soldiers informed about world events. After his discharge on 19 March 1946 with the rank of Sergeant, Gietzelt worked in the family business at Rockdale until he entered the Senate. On 1 September 1949, at the Registrar General's Office, Sydney, he married Dawn Olive Haslam, a librarian; the couple had a daughter and two sons. Gietzelt's parents were active members of the ALP, and he was deeply affected by his experiences of the Depression, witnessing evictions of families who could not pay their rent, and overhearing his parents crying when they had no money to buy food. In 1937 Gietzelt joined the Industrial Labor Party (or Heffron Labor Party), a breakaway group opposed to Jack Lang's leadership of the state ALP. In 1939 Gietzelt was an official of the state branch of the Australian Labor League of Youth and he became its treasurer in 1941. He attended the 1939 Unity Conference as an observer when the ALP Federal Executive brought the contending NSW factions together. When New South Wales Labor split again after the 1940 Easter Labor Conference, Gietzelt joined the newly-formed left-leaning state Labor Party (or Hughes-Evans Party) 'as a protest against the Lang influence emerging in the Official Party'. When he returned from the war, he rejoined the ALP at Miranda in 1946. Strongly-held leftist ideological principles were an integral element of his long involvement with the ALP, and some of his opponents, both inside and outside the party, considered him to be a communist. In 1948 he had become a member of the NSW Returned Sailor's, Soldier's and Airmen's Imperial League of Australia state council, but was expelled from the organisation in January 1950 for alleged communist sympathies. The organising skills that were the hallmark of Gietzelt's Labor Party activism were evident at this early stage of his political career as he campaigned for Labor member Bert Lazzarini in the federal seat of Werriwa in 1949 and 1951. When Lazzarini died in 1952, Gietzelt directed Gough Whitlam's successful campaign for Werriwa. In the 1950s Gietzelt was active in the peace movement and helped organise a meeting at the Sydney Town Hall opposing the re-armament of Japan. He maintained his involvement with anti-conscription and anti-war movements during the 1960s and 1970s. Gietzelt was respected for his 'extraordinary political energy and ruthless political professionalism' as the long-serving secretary of the NSW Steering Committee, the factional organisation of the left in the New South Wales ALP, formed in 1955 to oppose the anti-communist Industrial Groups within the ALP and the union movement, commonly known as the Groupers. He was considered to be the 'critical liaison point' between the Steering Committee and communist factions within ALP affiliated unions. He could deliver a large voting bloc at ALP conferences, and persuaded the Steering Committee to support the selection of Lionel Murphy for the NSW Labor Senate ticket in 1960. Gietzelt's brother Ray was also a central player in ALP and union circles, serving as general secretary of the Federated Miscellaneous Workers' Union for nearly thirty years. Gietzelt became interested in local government after a conflict with Sutherland Shire Council in 1946 over land that he and his wife had purchased for residential purposes, and that the council rezoned for industrial use. The Gietzelts organised a local progress association, and succeeded in having the ruling reversed. Elected to the Sutherland Shire Council in 1956, Gietzelt served as its president for nine years, between 1961 and 1963 and 1966 and 1971, and reportedly said that his period in local government was 'the most productive and satisfying' of his political career. As shire president, Gietzelt was a strong supporter of environmental and conservation causes, protecting the Royal National Park from development, and halting the reclamation of Botany Bay for refuse disposal when its impact on aquaculture was made known. He was an executive member of the Local Government Association of New South Wales between 1967 and 1971. The prospects of Gietzelt gaining Labor pre-selection for a parliamentary seat were hindered by his association with the left. Following ALP Federal Executive intervention in the Victorian branch in 1970 to redress the factional imbalance caused by the left's control in that state, Arthur and Ray Gietzelt appealed to the Federal Executive to intervene to overcome the dominance of the right faction in the NSW branch. To prevent federal intervention that would have resulted in the NSW branch being dissolved and new rules established, the NSW right agreed to a pragmatic compromise which saw the introduction of proportional representation voting in party ballots, resulting in better representation of the left in elected positions including party committees, conference delegations, and administrative positions. These changes facilitated Gietzelt's preselection as a Senate candidate. After some persuasion from Lionel Murphy, Gietzelt agreed to be nominated for preselection for the third position on the NSW Labor Senate ticket, and despite continuing opposition from the NSW right, he was able to garner sufficient support for his preselection from delegates of federal electorate councils. He was elected to the Senate at the half-Senate election held on 21 November 1970, winning the fifth New South Wales place. 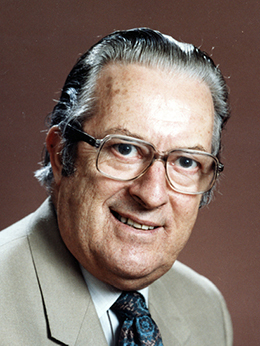 Gietzelt's first term as a senator commenced on 1 July 1971; he was re-elected in 1974, 1975, 1977, 1983 and 1987. Within the parliamentary Labor Party, Gietzelt's reputation as the 'most cunning organiser for the left' was such 'that the mention of his name was enough to cause discomfort' at meetings of the right faction. He was a member of the cross-factional Tuesday Club that met regularly for lunch, and which included Gordon Bryant, Les Johnson and Moss Cass from the left and Paul Keating and Lionel Bowen from the right. When Labor came to office in 1972, Keating and Gietzelt formed a cross-factional ticket to try to take advantage of the preferential system used in Caucus ballots for ministerial positions; however, neither won a place at that time. Gietzelt used his organising skills to help Jim Cairns become the federal parliamentary party's deputy leader in 1974, and did the same for Tom Uren when Uren was elected to the deputy leadership two years later. In 1976 he also worked to secure the post of deputy leader in the Senate for Jim Keeffe. In 1971 Gietzelt was elected to the ALP's Federal Executive (National Executive from 1975), a position he held until 1989. He was a junior vice-president of the ALP from 1981 to 1983 and a senior vice-president from 1983 to 1989. Gietzelt had long-running interests in consumer protection, local government and electoral reform, which he pursued through questions without notice and in parliamentary debate during the period that Labor was in opposition. He was elected to Labor's shadow cabinet on 24 March 1976 following the resignation of John Wheeldon, when a tied vote with Senator Peter Walsh was decided in Gietzelt's favour on a count-back. He held the shadow portfolios of agriculture (March 1976–May 1977), administrative services (February 1978–March 1980, November 1980–March 1983), consumer affairs (February 1978–November 1980) and home affairs (November 1980–March 1983). As shadow minister for administrative services and home affairs, Gietzelt argued that the electoral system for the House of Representatives should be changed from the existing preferential arrangement to a proportional system based on multi-member constituencies. He told the Senate that Labor wanted a system 'whereby the party that gets 50 per cent of the vote gets 50 per cent of the seats in the lower House'. He also sought synchronised terms of office for the Senate and the House of Representatives. In 1981 he expressed the ALP's support for the disclosure of donations as well as election expenses. He proposed that the Australian Electoral Office be solely responsible for the administration of all electoral legislation, and that each political party and candidate should designate an official agent with responsibility for election donations and expenses. In 1982 Gietzelt put forward three private senator's bills which sought to simplify, unify and strengthen electoral procedures. He proposed that House of Representatives candidates be listed on the ballot paper in a random order, and that party affiliations be shown; the introduction of a form of optional voting in the listing of preferences; and uniform closing times for polling stations across the country. Gietzelt's bills never came to a vote, but several of his proposals were included subsequently in legislation introduced by the Hawke Government in November 1983. Gietzelt's policy interests included East Timor, which he visited twice in 1975, and he was president of the Parliamentary Friends of Timor group. He was highly critical of the Fraser Government's response to the Indonesian Government's intervention in East Timor in December 1975, and included the previous Whitlam Government in his criticism. In April 1976 he tabled in the Senate a cable sent to the United Nations Secretary-General, and signed by fifty-seven Australian federal parliamentarians, calling for United Nations intervention in East Timor. Gietzelt's long-standing concern for human rights and political freedoms world-wide was reflected in many questions asked throughout his Senate career. When the Hawke Government came to office in March 1983, Gietzelt was elected by Caucus to the ministry. He was surprised to be appointed Minister for Veterans' Affairs, but retained the portfolio for the next four years, during which he oversaw 'the most important and comprehensive overhaul of the Repatriation system since its establishment over 60 years ago'. The Repatriation Legislation Amendment Act 1984 simplified the bureaucratic structure that administered entitlement determinations, while the Veterans' Entitlements Act 1986 consolidated previous disparate pieces of repatriation legislation within one act, and incorporated a comprehensive revision of existing repatriation legislation. The release of a draft of the Veterans' Entitlements Bill in May 1985 saw Gietzelt heavily criticised for proposed reductions in spending, more stringent eligibility requirements for benefits, and lack of community consultation. There was a strong reaction by ex-service personnel, who were concerned about evidentiary requirements for some categories of pensions and proposals to terminate dependants' allowances. The bill endured a long passage and underwent comprehensive redrafting, in which the government made significant concessions to alleviate what was seen as an erosion of repatriation entitlements. On the day the before the legislation was passed in the Senate, senators Lewis and Macklin attacked Gietzelt's handling of the consultation process, noting that his 'intemperate language' in press releases and correspondence 'lent no honour or dignity' to his campaign for the passage of the bill—though Macklin later acknowledged that Gietzelt faced a 'herculean task' and had shown 'the capacity to stay in there, fight for the legislation and also work very hard when delicate negotiations were required'. Gietzelt implemented the recommendations of the 1985 Brand Review of the Repatriation Hospital System, instigated in order 'to correct deficiencies in resources' and identify future requirements. Even before the report was completed, Gietzelt's persistent advocacy on the issue had resulted in the Hawke Government spending an additional forty-three million dollars on repatriation general hospitals in its first two years. He was also responsible for establishing the first crisis accommodation centre for Vietnam veterans. Labor was elected for a third term in 1987 but Gietzelt, now sixty-six, did not put his name forward for the ministry. He had planned to retire at the 1987 election, but delayed his departure to ensure that John Faulkner, assistant secretary of the NSW ALP and a member of the left faction, would take his casual vacancy. Having chaired the Standing Committee on Finance and Government Operations early in his Senate career, Gietzelt was chair of Estimates Committee B from October 1987 until his resignation from the Senate on 27 February 1989. From 24 January 1987 Gietzelt was joint father of the Senate with Senator Peter Durack, an informal title for senators whose continuous service is longer than any other currently serving senator. Gietzelt has been described as 'an old time left-winger and bluff speaker'. Tom Uren considered him to be 'dour', but also described Gietzelt as 'a person with enormous tenacity' and 'a great politician'. Senator John Button found Gietzelt to be 'a man of some passion', yet he noted that their disagreements were 'always characterised by a degree of mutual respect and trust'. Gietzelt commented in 1976 that his opponents tried to paint him as 'a sinister backroom boy, just a numbers man rather than someone with beliefs. In fact my beliefs are what make me want to muster the numbers'. On his retirement from the Senate in 1989 and reflecting on his long political career, he said: 'I've had my ups and downs, my tears and frustrations, but overall I've been able to do what I want with my life and there aren't many who can say that'. Gietzelt was awarded life membership of the ALP in 1991. In the next year, he was appointed an Officer of the Order of Australia (AO) for service to the Australian Parliament and to local government. He was foundation secretary of the Sutherland District Trade Union Club and became a life member in 2001. He was a member of the Federated Clerks' Union for over fifty years and a member of the Caringbah sub-branch of the NSW RSL. In 2010 there were renewed claims that Gietzelt was a member of the Communist Party of Australia (CPA) throughout his political career. Media reports cited ASIO records and Mark Aarons' book The Family File, an account of the career of Aarons' father, CPA general secretary Laurie Aarons. Gietzelt described the allegations as 'absurd'. He said that while he had never concealed his links with CPA members, 'I was never a member of the CPA, and I certainly didn't do their bidding'. Following his death on 5 January 2014 a state memorial service for Arthur Gietzelt was held at the Sutherland Entertainment Centre. His autobiography, Sticks and Stones, was launched on the same day. Jenny Hocking, Lionel Murphy: A Political Biography, CUP, Cambridge, UK, 1997, p. 60; Ray Gietzelt, Stoward and Kelly Family History, 1625–1999, R. Gietzelt, Syd., c. 1999; Ray Gietzelt, Worth Fighting For: The Memoirs of Ray Gietzelt, Federation Press, Annandale, NSW, 2004, pp. 1–10; Transcript of interview with the Hon. Arthur Thomas Gietzelt by Ron Hurst, 1991–1992, POHP; Arthur Thomas Gietzelt, Defence Service Records, B883, NX 137958, NAA. POHP; Arthur Gietzelt, 'Principle before power', in Seeing Red: The Communist Party Dissolution Act and Referendum 1951, papers from the Evatt Foundation Conference, Syd., 1991, Evatt Foundation, Syd., 1992, pp. 64–76; email to the author from Membership Services Officer, NSW ALP, 2 July 2009; Graham Freudenberg, Cause for Power: The Official History of the New South Wales Branch of the Australian Labor Party, Pluto Press, Leichhardt, NSW, 1991, pp. 184–94; L. J. Louis, 'The RSL and the Cold War, 1946–50', Labour History, No. 74, May 1998, pp. 88–104; A. T. Gietzelt, 'Paths to a Socialist Australia', Labor Forum, Vol. 4, No. 4, Dec. 1982, pp. 1–4; Bob Gould, 'Bob Santamaria and Bob Gould: A Reminiscence of the Great Labor Split', Ozleft blog, 4 Dec. 1997; Hocking, Lionel Murphy, pp. 66–7. POHP; CPD, 8 May 1989, p. 1999; Sunday Telegraph (Syd. ), 19 Feb. 1989, p. 45; Mike Seketee & Milton Cockburn, Wran: An Unauthorised Biography, Allen & Unwin, Syd., 1986, pp. 233–4; Jim Hagan & Ken Turner, A History of the Labor Party in New South Wales 1891–1991, Longman Cheshire, Melb., 1991, pp. 211–5; SMH, 8 March 1971, p. 1. National Times (Syd. ), 2–7 Feb. 1976, p. 7; Graham Richardson, Whatever It Takes, Bantam Books, Syd., 1994, p. 86; Tom Uren, Straight Left, Random House, Milsons Point, NSW, 1994, p. 222; John Edwards, Keating: The Inside Story, Penguin Books, Ringwood, Vic., 1996, p. 109; email to the author, Membership Services officer, NSW ALP, 2 July 2009. CPD, 25 Feb. 1981, pp. 123–33, 5 June 1981, pp. 2765–7; Background Paper, Senator Arthur Gietzelt, 'Proposals for change to our electoral system', July 1991; Senate, Journals, 26 Nov. 1981, p. 714; CPD, 11 Nov. 1982, pp. 2279–80, 18 Nov. 1982, pp. 2548–50, 16 Nov. 1983, pp. 2609–12, 7 April 1976, pp. 1167–73. POHP; Clem Lloyd & Jacqui Rees, The Last Shilling: A History of Repatriation in Australia, MUP, Carlton, Vic., 1994, pp. 384–407; CPD, 29 May 1984, pp. 2047–55, 15 June 1984, pp. 3107–12, 22 May 1985, pp. 2376–9, 16 April 1985, pp. 1747–67, 13 Nov. 1985, pp. 2103–7, 28 Nov. 1985, pp. 2494–9, 3975–6, 30 April 1986, pp. 2049–50; CT, 3 July, 1985, p. 11; Australian (Syd), 14 Oct. 1985, p. 3; Review of the Repatriation Hospital System: Final Report, Canberra, 1985; Press Release, Prime Minister, 1 Aug. 1985; CPD, 28 Feb. 1989, p. 3. SMH, 5 Sept. 1987, p. 25; Australian (Syd. ), 11 March 1983, p. 6; Uren, Straight Left, p. 370; CPD, 28 Feb 1989, pp. 1–2; National Times (Syd. ), 2–7 Feb. 1976, p. 7; Sunday Telegraph (Syd. ), 19 Feb. 1989, p. 45; Mark Aarons, The Family File, Black Inc., Melb., 2010; Australian (Syd. ), 6 July 2010, p. 8; Arthur Gietzelt, Sticks and Stones, Warilla, NSW, 2014. This biography was first published in The Biographical Dictionary of the Australian Senate, Vol. 4, 1983-2002, Department of the Senate, Canberra, 2017, pp. 37-41.